The truth is that I am particularly bored by people who think that everything works by magic or that is simply unable to bother learning or simply to find out how things work. Maybe that’s why I like physics because it’s a branch of science that tries to explain how nature works. That is the reason why I deeply hate people that their maximum explanation (whether through ignorance or being vague of mind) to any problem their explanation is “I do not know”. It’s not that you do not know, you do not want to know. So today I’m going to explain, briefly, for you to chop the bug (which I doubt) as a particle accelerator works. The first thing is to know what it is for, and that is very simple: to see what things are made of. That is, a particle accelerator serves to see that there are inside things, if any, particles (as the name implies). After this, the philosophy of how it works is very simple and the best way to see it is to put a simile. I always use cars similes as they are quite easy to understand to be, the world, full of “ready” (with quotes) that of what most opinion in the bars hit the table is cars while the rest open Mouth and looks at them with admiration. So the similes of cars work quite well. So, if we want to know what makes a car we have two ways. The most common way is to disassemble it with our hands and go looking at the components that form one by one. But this can be done thanks to a car is a very large element (physically speaking) compared to us and that our hands are able to disassemble it piece by piece. However, if the car were so small that our hands or our tools were unable to separate their different parts we have another method that is just as valid for a standard size car: beat it until their pieces separate. Yes, if we throw a car against the wall and this bust shows us the parts that make up a car. It is not a very orthodox method but it is equally valid. Thus, the more pieces we want to see, the faster we will have to throw it against the wall to show the smaller pieces that make it up. Basic. A particle accelerator works under the same principle, throws things against others so that in the crash they break up showing what is inside them. After seeing the beginning, let’s see how it works that is not complicated. Being particles that “throw” and collide, we need a method to accelerate them at the speed we need. The particles remember that they are affected (like everything) by the four fundamental forces, so the best way to launch them is to use one of them and the best we control is the electromagnetic. So a particle accelerator uses electromagnets to accelerate particles, simple. After this we need to see the path by which we accelerate them and this gives the two types of accelerators existing, circular and linear. Although everyone is accustomed to or has heard of the CERN LHC there are many accelerators in the world and some in Circular times are linear, although there are many other models such as the cyclotron or the synchrotron. By the way, if you ask, the standard way to accelerate a particle electromagnetically is simple. If the particle is positive, you apply an opposite field (of opposite polarity) this moves through that section so if we do in different sections we will not only move the particle but accelerate it. So what accelerators do is, as the name implies, to accelerate two particles in opposite directions so that, at some point, they collide or collide. Now, how do we make two particles collide?. Well, if we try, linearly that two particles collide against each other, considering the size of things would be like trying to have two peas collide in a size of Madrid. Simply remember that the size of an atom is (if it were like a stadium), put in the center of the pea (this would be the nucleus) and the electrons as the stands (remember that the orbit is a wave of probability). Here the “relativist” theme comes in a little and it is that the particles that accelerate arrive at speeds close to the light (that’s why they are called relativists) and come into play equations known as the famous Which indicates not only the energy required but if we consider the speed as a constant and the energy and mass as a variable we can observe how we can increase the mass to much energy. This tells us that an electron (for example) of low mass will increase the same by applying more energy at the same speed. What things!. This greatly facilitates that two very small particles of mass collide, increasing their mass. Let’s make it a trick for them to collide more easily. And there is little more to tell about it. Now, okay, we made them collide, and now what? Things within a particle do not jump that way by good and order, but follow the principles of physics, they will have mass and energy. Here we make an incision and remember the experiment of the fog chamber or Wilson chamber where in a chamber with water vapor is passed a particle and this passing through a magnetic field produces a trace according to its mass. That is, the particles, according to their mass are deflected by the magnetic field … because we already have the like. Yes in the place where the particles collide and “disassemble” we have applied a known magnetic field and we observe the energies and, above all, the trajectory deviations not so much by the blow but by the own field we will do something similar to the camera experiment of Fog but with other particles or their interiors. That is to say, we can calculate the pieces that leave a particle through its properties that I have previously quoted. What fun!. Result, we can see and calculate what make up the particles. That puzzle that has gone crazy, in the first shocks to the physicists when presenting multitude of particles of difficult classification … but that is another story for another time. Actually the detector is a little more complicated than that, although it is based on this principle. The truth is that particle accelerator detectors do not use a single method but are based on several (nothing is based on a single problem or solution – and this is for the “bar ready” they all see them as a single Problem and a single great solution), from measuring the temperature difference of the particle that you want to detect in a space of time (called calorimeters) to the radiation emitted by going at relativistic speeds (remember, everything goes very fast) . But mainly, the way of detecting said subparticles is similar to the experiment of the fog chamber. 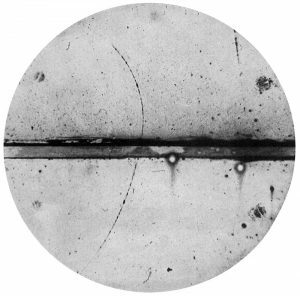 Remember that the images of the particle accelerator are so bad and frightening that they show you the set of detectors and, above all, the electromagnets next to the “cooler” (yes, the accelerating particle cools it) Is more than liquid nitrogen around the electromagnets.